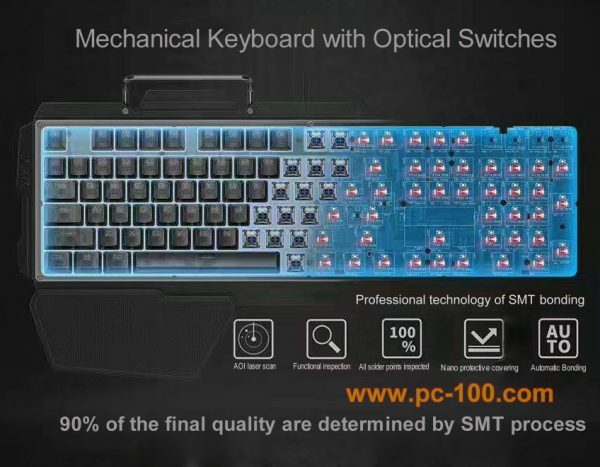 on, no physical contacting occured when switch on/of, thus, photoelectric switch makes longer fatigue-life than that of typical mechanical switch while has similar tactile feedback like typical mechanical switch. 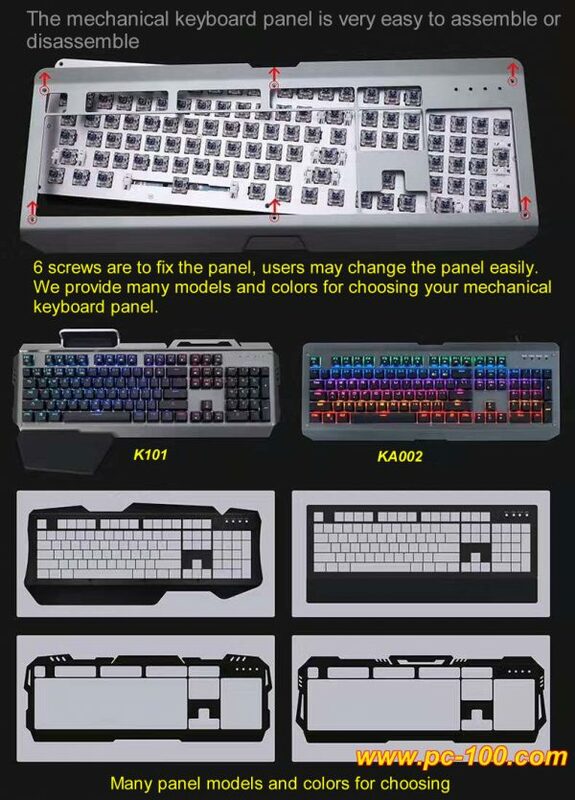 The mechanical keyboard panel is very easy to assemble or disassemble, 6 screws are to fix the panel, users may remove and replace the panel easily. 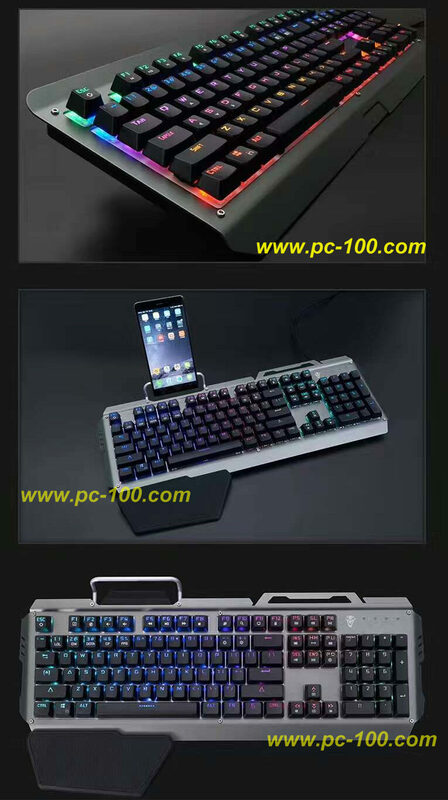 We have many models and colors for you to choose your mechanical keyboard panel. 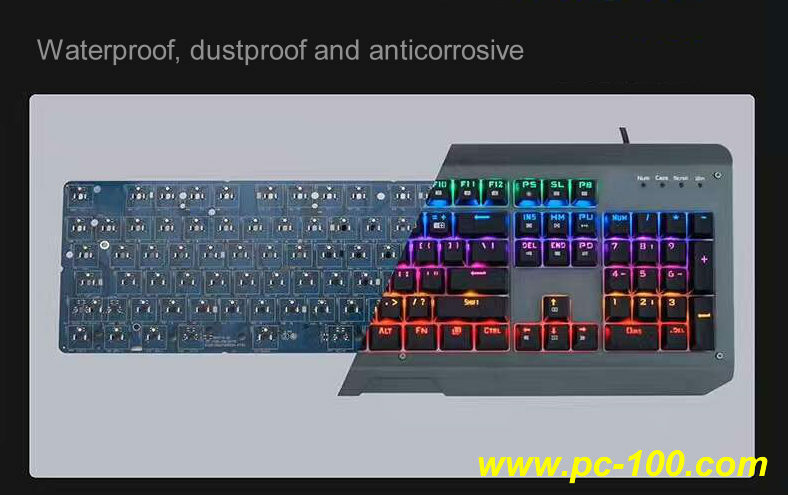 This is a waterproof, dustproof and anticorrosive mechanical keyboard. 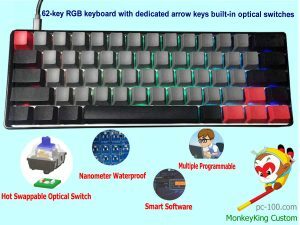 Bi-color injection molding ABS keycaps. 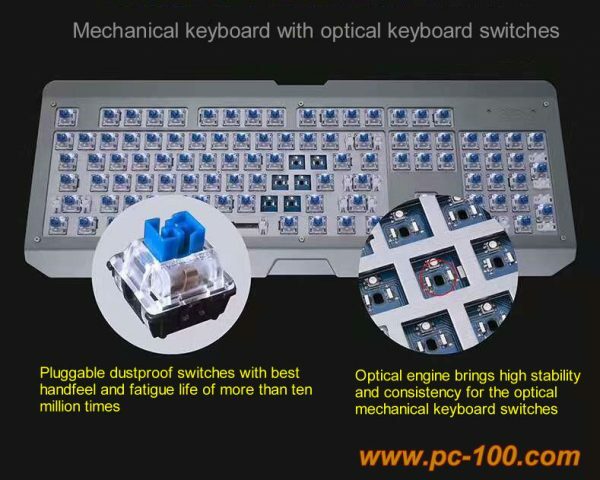 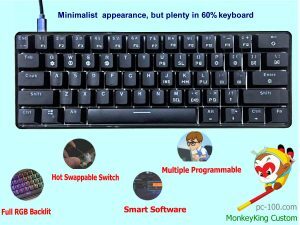 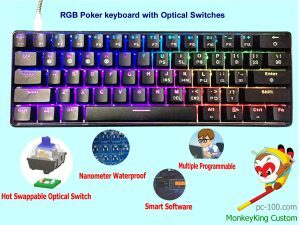 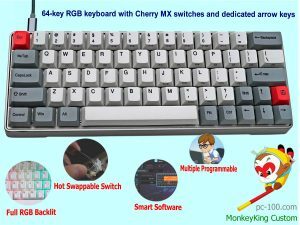 Photoelectric switches (optical keyboard switches) makes mechanical keyboard durable and with high wear-resistant.The keyboard structure makes it easy to disassemble and easy to clean. 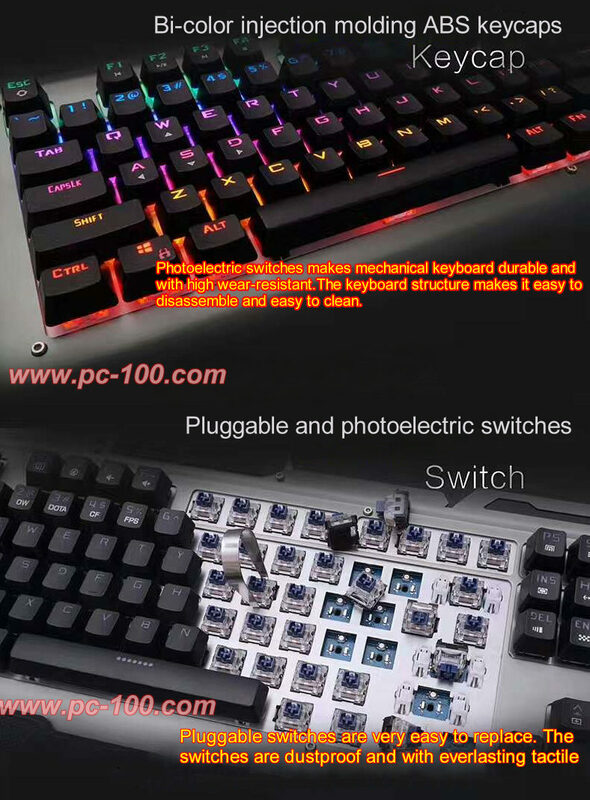 Pluggable switches are very easy to replace, switches are dustproof and with everlasting performance. 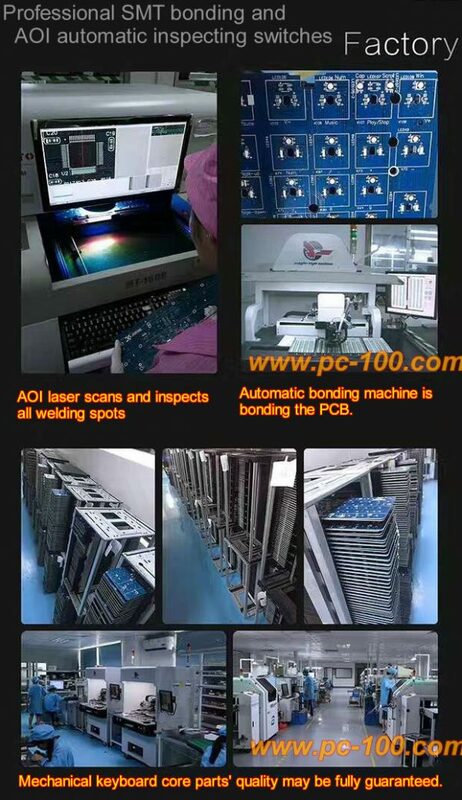 Professional SMT bonding and AOI automatic inspecting, AOI laser scans and inspects all welding spots. Some details for this optical mechanical keyboard.